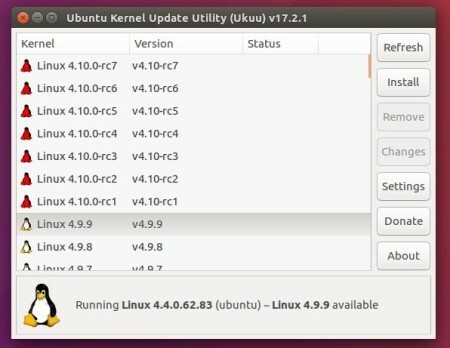 For those who want to test the latest Linux kernels, Ukuu (Ubuntu Kernel Upgrade Utility) offers a simple interface with list of the “mainline” Kernels and allow user to one-click download and install a selected kernel release. The mainline kernels are provided by Ubuntu Kernel Team for testing and debugging purposes. They are not supported and are not appropriate for production use. You should only install these if they may fix a critical problem you’re having with the current kernel. Read more about mainline kernels. Displays notifications when a new kernel update is available. For Ubuntu 14.04, Ubuntu 16.04, Ubuntu 16.10, Linux Mint 17 & 18, and based systems, you can install the tool from the developer’s PPA. For those don’t want to add PPA, grab the DEB package from HERE. And you can remove the PPA via the Software & Updates utility under Other Software tab. 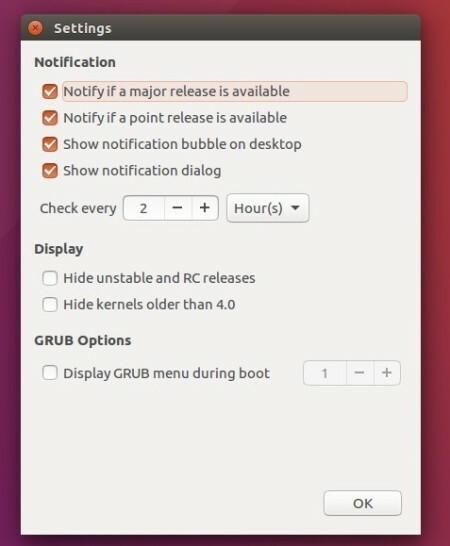 in Grub menu, select Advanced Options and select boot the old stable kernel. finally use Ukuu to remove mainline kernels. Ukuu is highly recommended, This is a superb tool for downloading and installing (upgrading) the latest kernel for your Linux OS. Its especially nice for novice or beginner Linux users as it takes a lot of the hard work & more complex command line syntax away. The tool is very reliable & stable and works smoothly every time. Very useful indeed.